Crescent City Auction Gallery's Important Summer Estates Auction will be held July 21st and 22nd in New Orleans, La. 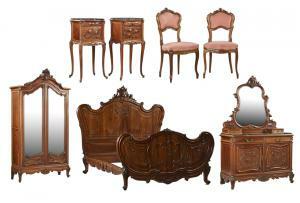 Gorgeous French Louis XV-style seven-piece bedroom suite (est. $5,000-$7,000). 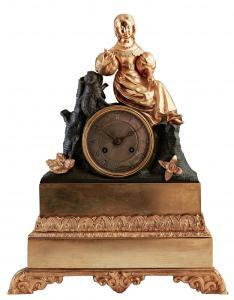 Louis XV-style gilt and patinated bronze figural mantel clock, made circa 1850 (est. $700-$1,000). Russian icon titled Christ the Pantocrator (Moscow, circa 1896-1908), with gilt and silver enamel oklad (est. $5,000-$8,000). 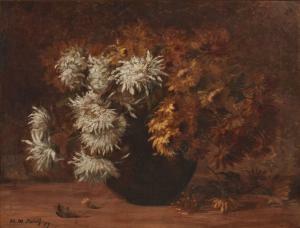 Original oil painting by Marie Madeleine Seebold Molinary (La., 1886-1948), titled Still Life of Chrysanthemums in Vase (1899), signed (est. $4,000-$6,000). 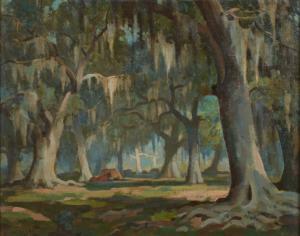 Original oil painting by Clarence Millet (La., 1897-1959), titled Moss-Laden Oak Trees, signed lower left (est. $4,000-$6,000). An exceptional early 20th century French Louis XV-style carved walnut seven-piece bedroom suite and beautiful early 20th century Russian icons will be sold. NEW ORLEANS, LA., UNITED STATES, July 3, 2018 /EINPresswire.com/ -- NEW ORLEANS, La. – An exceptional early 20th century French Louis XV-style carved walnut seven-piece bedroom suite, beautiful early 20th century Russian icons and original oil paintings by Marie Madeleine Seebold Molinary (New Orleans, 1886-1948) and Clarence Millet (La., 1897-1959) will headline Crescent City Auction Gallery’s next big sale planned for July 21-22.